Steve Bettman has a classical art education and has been an artist for the better part of two decades. 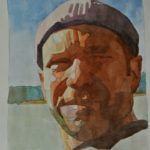 The first decade he painted watercolor tropical landscapes, seascapes and botanicals in Hawaii. The next 10 years, in Sweden, he proceeded to teach and paint, but also went back to school to study classical realism in charcoals and oils. 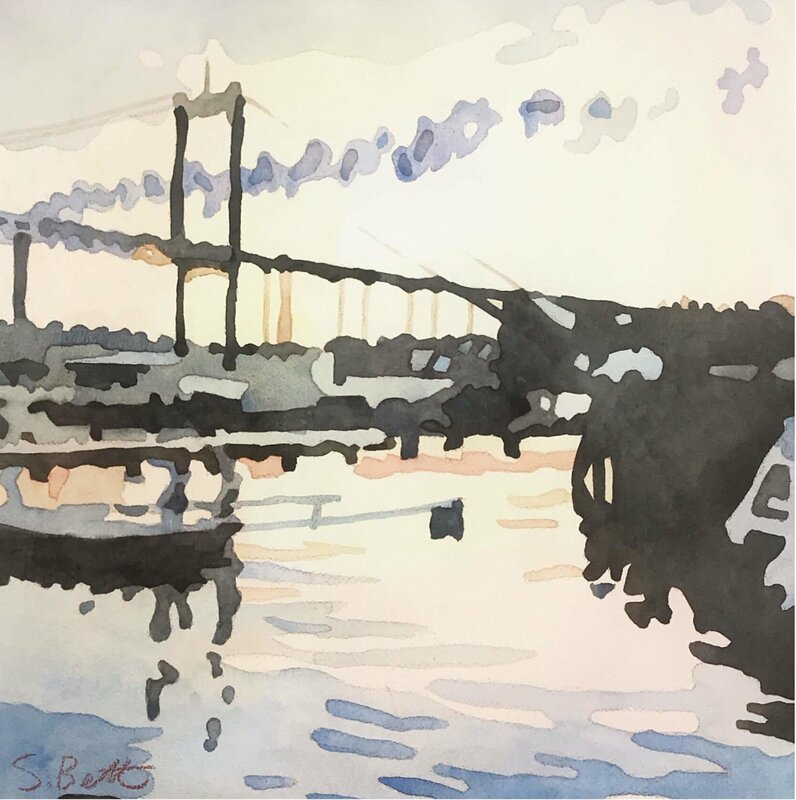 Reacting to the environment in oil, watercolor or drawing, Steve Bettman paints fresh loose landscapes and cityscapes, recording moods, light effects, weather, and the seasons. 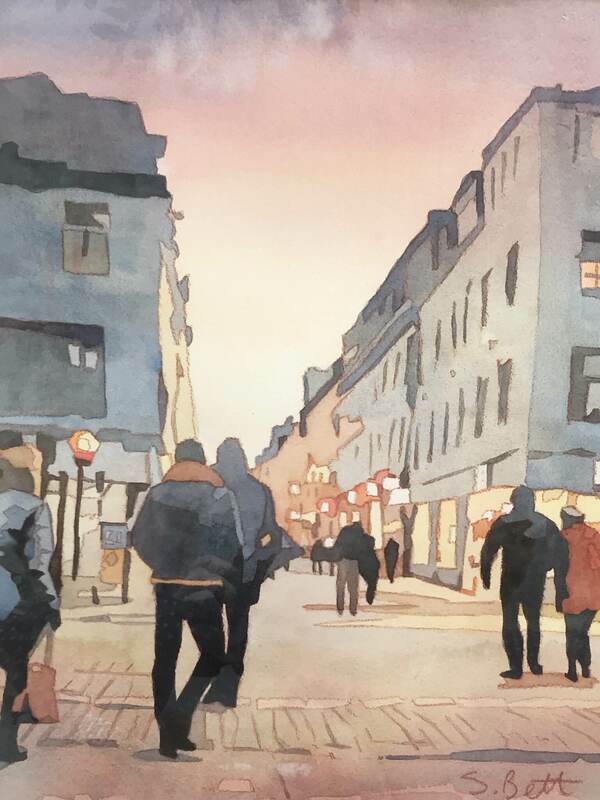 Steve and his wife and family live in Gothenburg, Sweden since 2006. 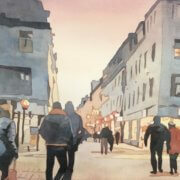 Watercolor Course leader: ABF Järntorget ‘08, ’09, ’10. 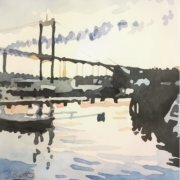 Steve Bettman, "Rök över bron", akvarell, 38x38 cm Såld! Steve Bettman, akvarell, 40x50 cm med ram. Såld! Steve Bettman, "Pärlan", akvarell. Såld!